An overwhelming number of collision repairers would like to see shop supply list prices in estimating service, the latest “Who Pays for What?” survey found. That desire was among the new teaser details released by researchers Collision Advice and CRASH Network last week. 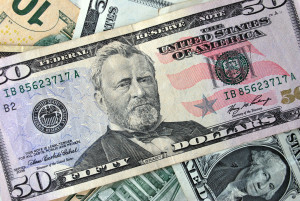 On Monday, the duo announced findings that OEM-certified shops surveyed charge anywhere from their steel repair rate to more than $145 an hour to fix aluminum vehicles. Estimating services, take note: 92.6 percent answered yes, 3.4 percent said no, and 4 percent were unsure. Survey: No major insurer blanket-rejects ‘not-included’ procedures — so ask! “That is a clear message from the collision repair industry to the information providers and the adhesive companies and other suppliers that perhaps they need to work together to include more of these products in the estimating systems to assist shops in charging appropriately,” CRASH Network and Collision Advice wrote. As with other “Who Pays for What?” inquiries, the latest study found clear evidence that insurers will reimburse you for your materials — if you bother to ask. The researchers released the example of boron drill bits. For each of the nation’s eight largest auto insurers, they found more than half of the hundreds of respondents said they’d never asked to be repaid for the supplies. Now, those who did ask weren’t guaranteed to succeed. Between 32 percent (State Farm) and 47.2 percent (Progressive), reported the insurer never agreed to a request for bit reimbursement. But on average, 36 percent of repairers who’d negotiated were paid “always” or “most of the time,” according to the researchers. 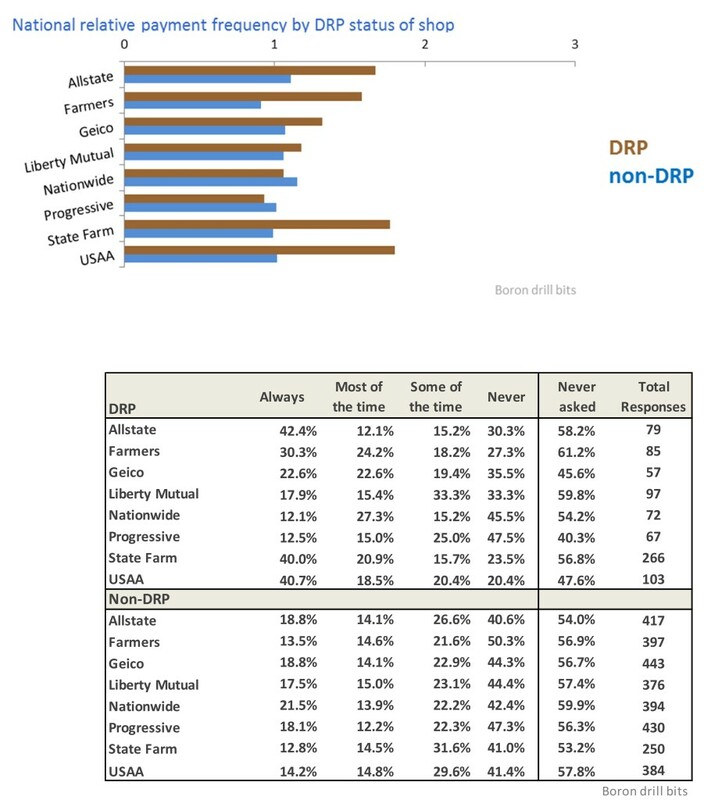 The survey asks about DRP status and looks at payment odds based on that as well. In the boron bit example, DRP shops were for some insurers (GEICO, USAA and Progressive) noticeably (10-plus percentage points) less likely to ask to be paid for the supply than the non-DRP shops. However, for other insurers, the shops by a margin of a few percentage points were more likely to ask. However, the DRP shops which did ask often reported far lower “never” and far higher “always” percentages (10-plus points) than the non-DRP shops who made the request. Armed with the knowledge that insurers will actually pay you, the study authors urge making your case for some high-usage items. Arm yourself with the proof the procedure is necessary and not-included, they urge — advice we’ve heard from other shops in and out of DRPs. “Next, prepare your staff to negotiate for these items, perhaps choosing two or three to focus on each quarter. Gather together the negotiation tools you can use to show: that the item or procedure is necessary; that it is not included; and, what it is worth if there is not a pre-determined formula in the estimating system you are using. As the survey indicates, it won’t always work, but if you’ve got the documentation for your case then, well, then you’ve got it for court — another venue some shops have used.